Before you set out to build an enclosure for your property, consider these nine popular materials to find the type of fencing that's best for your needs and budget. 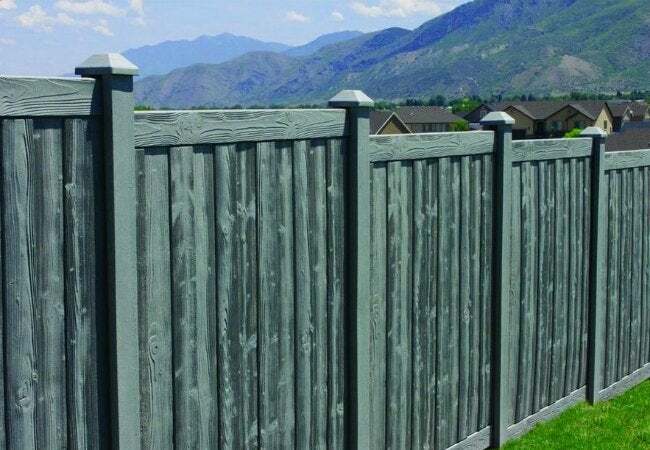 From the zigzag post-and-rail of the Colonial era to the elaborate molded vinyl styles of today, fences have always been a preferred means of ensuring privacy and deterring unwanted visitors. 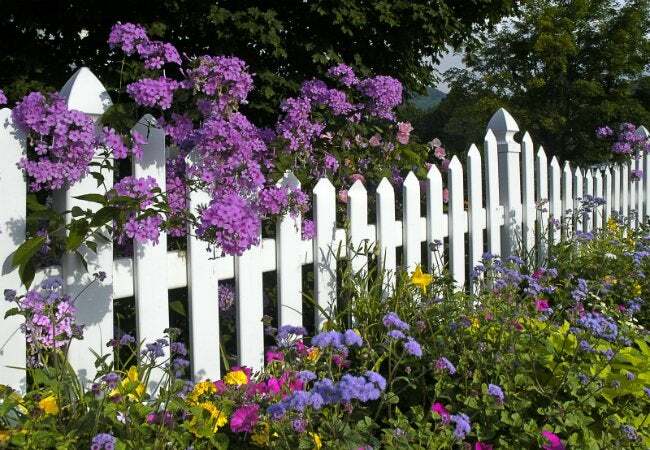 Whether you want to keep your pets safely in your yard or keep the neighborhood children out of your flowerbed, there’s a fence style and material fit for your property. Before loading your truck with fencing materials at the lumberyard, take a few minutes to call your local zoning office to find out what, if any, preliminary steps you need to take. If you’re putting the fence on a property line, you might need a lot survey. If you belong to a homeowners association or live in a development that is subject to covenants, you could be restricted to using specific materials and limited on fence height. Once you’ve got the green light, the next step is choosing the right type of fence material. 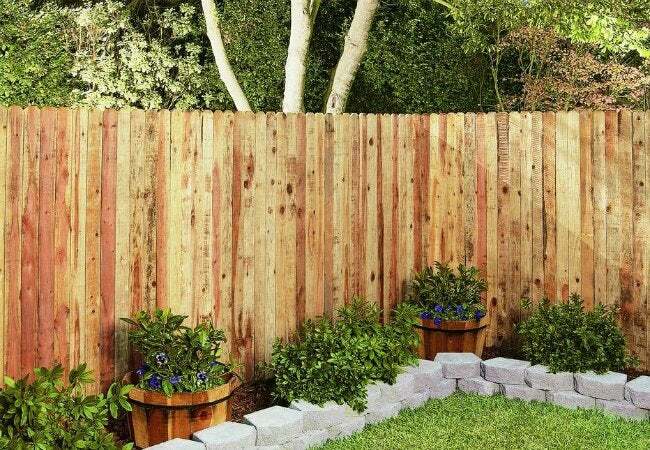 Cedar, the king of backyard privacy fencing, is known for its long-lasting good looks—tight grain, fewer knots, and a desirable red hue—and its promise never to warp or shrink. While cedar also naturally resists decay and insects, this wood is not as impervious to soil as treated wood and will likely rot after several years set in it. If you choose to build a fence from cedar, it’s recommended to install in a concrete base or secure to fence posts that are treated wood. Even so, the installation process is DIY-friendly, and you can customize the planks to create a variety of styles, including saddleback and lattice-topped. Maintenance Tip: Cedar naturally weathers to a silvery gray, and a fence of this material will require maintenance, including occasional plank replacement. For long-lasting color and protection, apply a penetrating sealant immediately after installation and annually thereafter. Vinyl fencing has been around for a few decades, but it’s still a relatively new kid on the block. 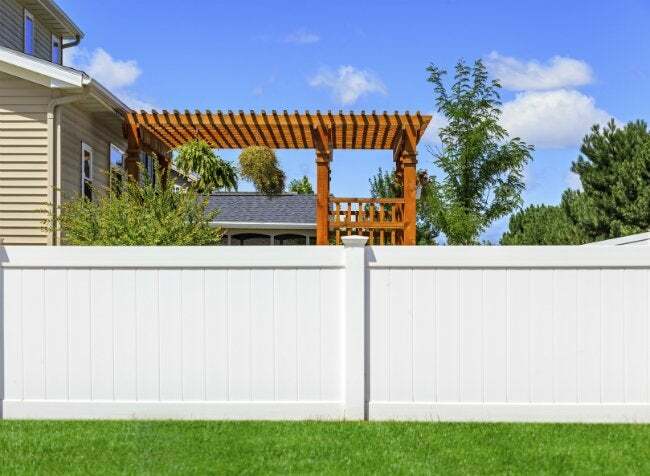 Early vinyl fencing products had a tendency to yellow, sag, or become brittle after a couple of years, but today’s fence manufacturers are putting out durable fencing products in a variety of heights and styles. When it comes to quality, thickness counts; thicker gauge, “virgin” vinyl will look best for the longest amount of time (some with a lifetime guarantee). For the best results, installation must be precise, so consider hiring a professional fence installer. A little out-of-level here or slightly out-of-plumb there will be significantly noticeable in the finished fence. Maintenance Tip: Once installed, vinyl fencing is virtually maintenance-free. Wash dirt off occasionally with a mild detergent, rinse with a garden hose, and you’re good to go. Manufactured from wood fibers combined with plastic polymers, composite fencing provides a like-wood look without the propensity to degrade from insects and rot. 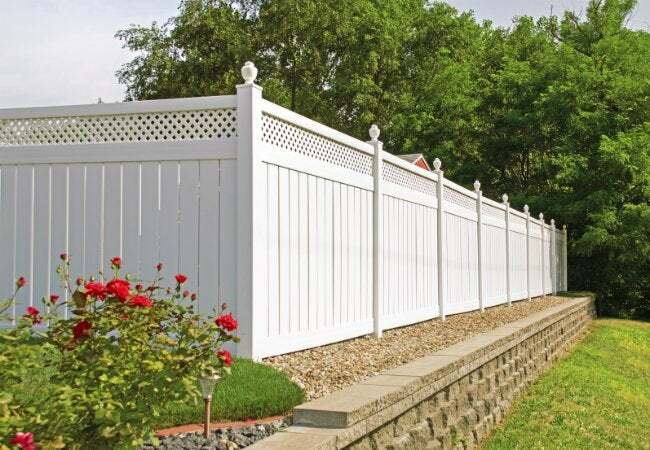 Such combination of style and substance runs slightly more expensive than vinyl and cedar, though, in both material and installation—like vinyl fencing, composite requires precise installation by professionals. Since the material’s quality varies, you’ll want to explore your options and buy composite fencing components from a reputable dealer. Maintenance Tip: After professional installation, composite fencing requires only an occasional spraying with plain water to keep it looking clean and fresh. You’ll pay top dollar for a redwood or teak fence, but nothing else compares to their natural softness and luster. Because they’re expensive, redwood and teak fences are usually limited to small areas: enclosures around spas or pools. Like cedar, redwood and teak both naturally resist insects, decay, shrinking, and warping from the elements. Maintenance Tip: Both redwood and teak require the application of a penetrating sealer or oil once or twice a year to maintain their original color. A light sanding prior to application will remove surface weathering. Options for metal fencing range from classic to contemporary, with a variety to match or blend with any home exterior. Wrought iron fences have survived centuries of style changes, and with good reason: More than simply classic, they’re extremely durable. Consider hiring a specialized fencing contractor if you’re looking to incorporate the traditional appeal of wrought iron into your property, as these enclosures tend to be custom made to fit the property and even include more intricate patterns. 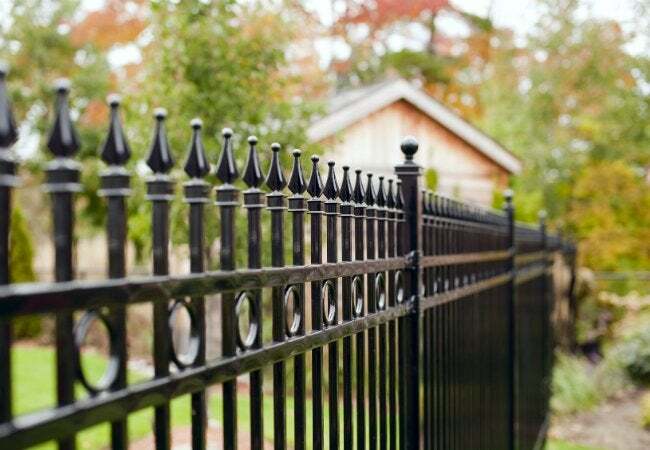 Some newer metal options—including cast iron, aluminum, and steel fences—package the strength of wrought iron with a more DIY-friendly panel installation. Maintenance Tip: Aluminum fencing holds up without rust all year long, but wrought iron and some steel fences require treatment with a brush-on or spray-on rust-inhibiting paint when they start to show signs of corrosion. Pressure- and chemically-treated wood pickets or cedar-style planks are a popular pick for outdoor structures as a whole—gazezbos, decks, pergolas, and more—and assembled as a fence, they offer privacy at a wallet-friendly cost. 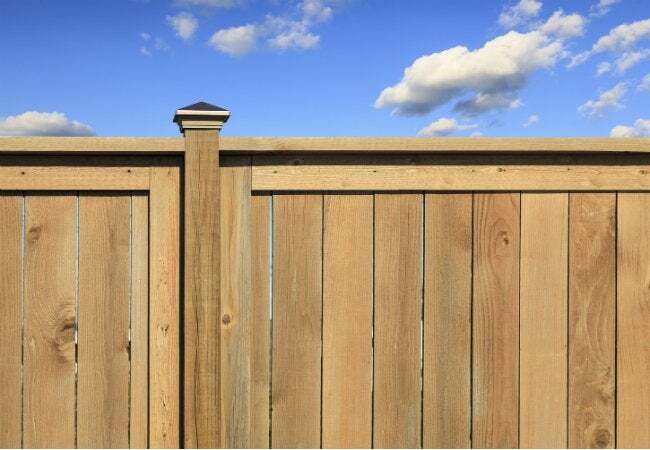 While this more economical fencing option is a perfect choice for fence posts inserted in the ground (treated wood resists both insects and moisture), its fence pickets have a tendency to warp or twist as quickly as one month after installation. For best shot at a warp-free results, handpick out the planks individually from your local lumberyard rather than having them delivered in bulk. Look for the straightest planks and skip any that look “green,” or damp, which could indicate they recently came from the manufacturer and are more likely to move as they dry. Maintenance Tip: Seal or paint treated wood for a better look, and replace warped planks as needed. Concrete, stucco, brick, block, and stone fences create a stately aesthetic around the home, but at a cost: These materials skew pricey and require professional installation. Due to their weight, masonry fences need a structural footing poured below the frost line, or the depth to which the groundwater in soil is expected to freeze in winter. Many homeowners mix some type of masonry with another fencing material, such as wrought iron or wood, for reasons of both design and cost. 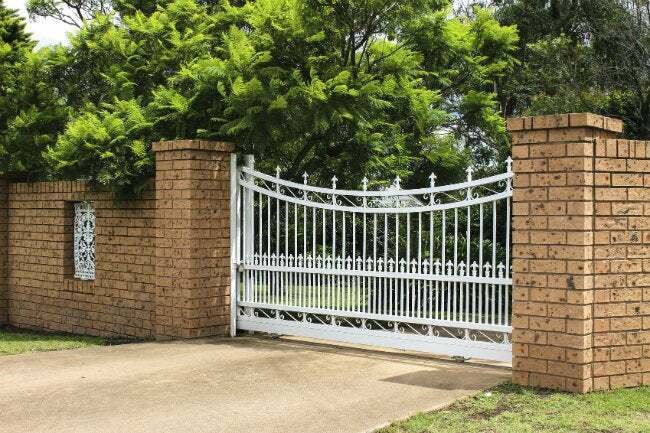 Block and poured concrete require steel reinforcement and brick fences often feature a concrete or block inner fence with brick veneer only on the exterior. Maintenance Tip: Over time, mortar joints in stone and brick fences can work loose and require re-pointing to stabilize. While their open links certainly don’t do much for privacy, chain link fences offer adequate security for pets and kids at a competitively low cost. 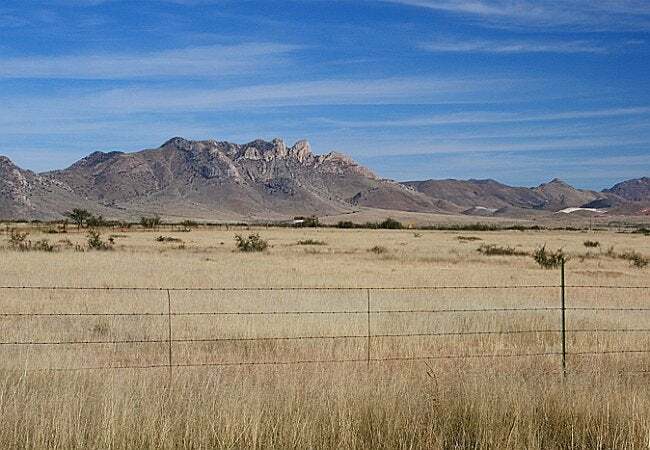 The materials are among the least expensive fencing options available, making this type of fence is a common choice for large rural yards where the amount of fencing needed makes other choices cost-prohibitive. In addition to economical materials, an easy-to-DIY installation—one that involves setting posts, installing a top rail, and then stretching linked mesh between the rails and posts—saves homeowners more money. Maintenance Tip: Chain link can corrode, especially at the junctions where the mesh links meet, but it’s difficult to prevent. For a better look and a longer life, consider upgrading to vinyl-coated chain link. This type of fence is strictly functional, usually set up to keep livestock in or natural predators out. Its standard design is simple and affordable enough for property owners looking to fence in a larger area: five strands of barbed wire strung taut between metal T-posts around the perimeter of the property, with heftier wood or steel posts installed at the corners to support the tension of the stretched wire. Before you install, know that barbed wire fencing is limited to rural use and prohibited in most communities. Maintenance Tip: Barbed wire strands should be re-stretched from time to time if they sag due to livestock leaning on them.